SPIRIT Solutions and BLUE are working together to leverage our innovative technologies to keep our children safe, address significant challenges within our educational systems in America, and provide immediate critical intelligence to those law enforcement professionals protecting our educational institutions and communities. Doing Everything possible toward Safer Schools and Safer Communities via technology tool-­‐sets provided. Increases in school attendance (Lowered Truancy) and improved homework completion. Reductions in student victimization (i.e. Bullying) and perpetration of violence prevention of all kinds. Reductions in student nonviolent and violent crime w/ multiple of weapons detected and removed. Reductions in student arrests and recidivism via rehab referrals to treatment and community resources. Reductions in student gang involvement via technology provided safety tool-­‐sets. Reductions in teen dating violence via anonymous tip opportunity to report and resolve incidents. Reductions in student self harm (suicides, cutting, etc.) via student lead social media monitoring. Reductions in student substance use via referrals to treatment and community resources. Reductions in symptoms of student PTSD, depression, and behavioral problems via treatment referrals. Increases in positive parenting and family management practices (e.g., monitoring and supervision). Safer Schools so that students can concentrate on education, not in fear from school attendance. Increases mass-communication with real-time information on situational awareness for staff, students, parents, law enforcement and 1st responders. Helps prevent violence before it happens. CARE promotes student-led social media monitoring for threats, bullying, and self-harm. 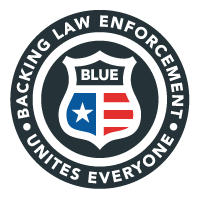 Through BLUE, elevated threats are communicated automatically to local law enforcement for immediate action. All anonymous tips are run through our Risk Analysis System to ensure real threats are no longer missed and to prevent violence before it occurs. Provide the Community and Students the CARE app to submit anonymous tips, concerns, and issues to enable rapid and intelligent evaluation for warning of impeding threats. Measured by the ability to remain ahead of the curve; never a moment behind. Driven by an unyielding desire to seek better ways to achieve noteworthy results. Honesty and a commitment to do what we believe is right for the betterment of our clients, families, and communities. Ensuring that SPIRIT maintains the highest personal and professional standards.